Served as Head Coach of the Principia College Men's Soccer Program for the better part of the last 12 years. Principia College is located in Elsah, Illinois, which is roughly 50 miles North of St. Louis, Missouri. 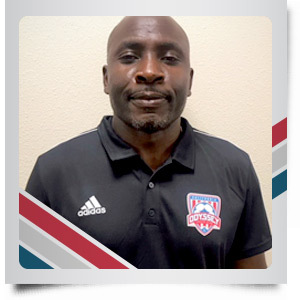 Vitalis was the Assistant Coach for Men's Soccer Program for the 5 years prior to becoming the Head Coach and he also played for and graduated from the College in 1992. With his USSF National B license already earned and goals and aspirations to attain the USSF National A license, COSC knows that the Central Valley and our Club has just gained an Elite level coach.